The opportunity to be part of a global event, such as the World Business Forum, is a privilege enjoyed by students of INTI. Whether they are physically present at such events or witnessing from the comfort of their campuses across Malaysia, INTI students are regularly exposed to some of the greatest minds and thought leaders in the world today. 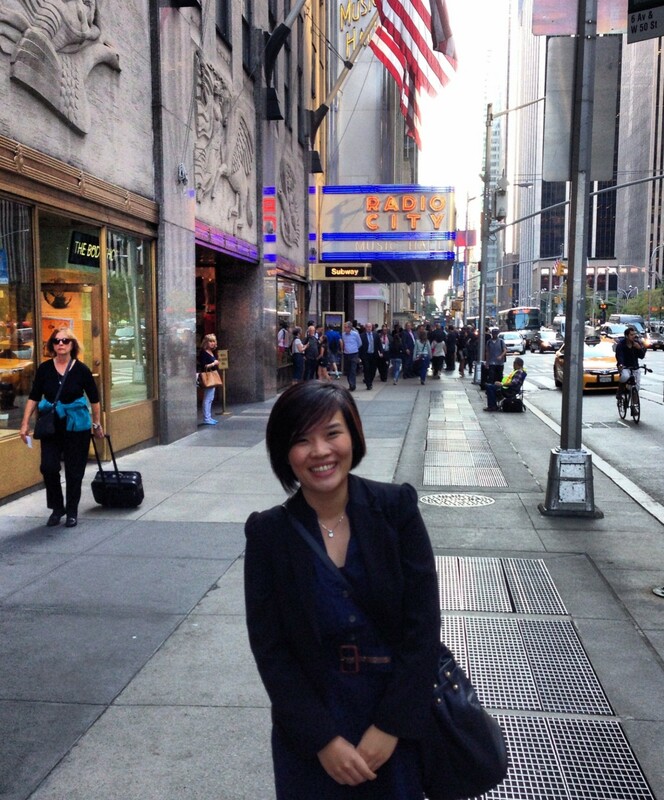 Jasmine Chin outside Radio City Music Hall, where the World Business Forum was held. Over a thousand INTI students tuned in to a delayed broadcast of the World Business Forum held in Radio City Music Hall, New York City, recently. In New York City itself was Jasmine Chin from INTI International University, who was selected to be one of the anchors at the forum. Along with a handful of other students from various institutions in the Laureate International Universities network, which INTI is part of, Jasmine found the experience exhilarating and greatly relevant to her course of study in mass communication. 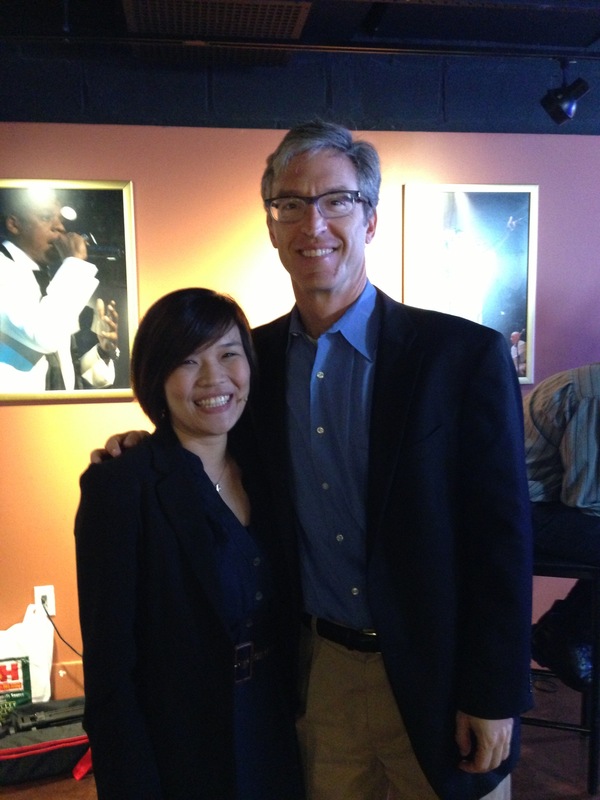 Jasmine Chin with economist Steven Levitt, co-author of the best-selling book Freakonomics, at the World Business Forum. “Being a student anchor in a celebrated event such as World Business Forum has shown me that life is full of opportunities and challenges that can lead to individual development. Aside from learning from others through networking with my peers from other institutions and interviewing some of the esteemed presenters at the forum, I was able to discover more about myself and make the best of my strengths and advantages,” said Jasmine. This year’s World Business Forum celebrated a 10-year milestone in bringing together top leaders and business moguls under one roof to discuss and engage in issues that will redefine and shape global business movements. It featured thought-leaders like Steven Levitt, Jack Welch, Sam Palmisano and Stephen Dubner, who are at the forefront in developments in their respective fields of expertise. Tapping into the resources readily available to students linked through the Laureate network, INTI students were able to gain a better understanding of global business practices and leadership. Students and faculty alike were inspired by the forum’s sessions and many students were able to apply the wealth of knowledge they gained in their assignments and projects. Capitalizing on the broad scope of information available, members of the faculty were able to convert relevant subject matter into class assignments for their students. International exposure is an important component in INTI’s innovation-driven, global-oriented and career-focused approach to education. International case studies are part of the curriculum, with a minimum of one case study per course per semester. Students also experience new cultures and meet global peers through faculty study tours to countries such as Thailand, China and Australia. Their world perspective is further broadened via cross cultural case discussion with students from other parts of the world via live video conference in the classroom. For more information on INTI’s programmes, call 06-7982000 / 03-56232800 / 03-2052 2888 / 04-6310138.